The attack happened on a sweltering Christmas Day at a popular beach on the Parana River in the city of Rosario, birthplace of the Barcelona striker Lionel Messi. Swimmers trying to cool down in 38C (100F) temperatures raced out of the water bleeding from wounds and shouting for help while the parents of children in the water rushed to their aid to drag them to safety. The attack, blamed on a piranha species called palometas, was the most serious of its kind in the city since 2008 when 40 swimmers were hurt. Paramedic Gustavo Centurion described them as ‘very aggressive’. The piranha are said to have been attracted by debris left by fishermen. 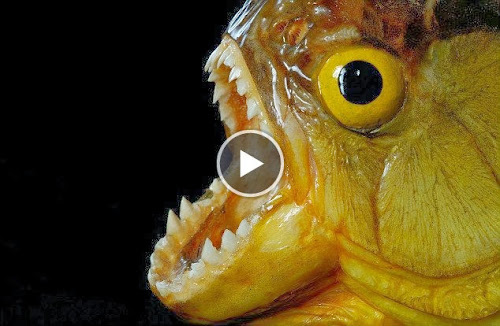 In 2011 a drunk 18-year-old bled to death after he leaped into a Bolivian river infested with pirahna. The teenager jumped out of a canoe in the town of Rosario del Yata, 400 miles north of the capital La Paz.